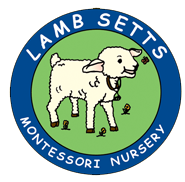 We work in partnership with Lamb Setts Nursery. The nursery is within the school grounds and we have a very close link. Lamb Setts has been an established nursery provider since April 1994. It is a family run, graduate-led service offering high quality childcare and education for children from 3 months - 11 years. Lamb Setts offers term time nursery care for children aged 2 - 5 years from 08.45- 3.30 during school terms. For more information call: 01246 520400. Or see the link below.